It’s happened yet again. Another nutcase decided to go straight to hell in a blaze of gunfire, taking as many with him as he could. 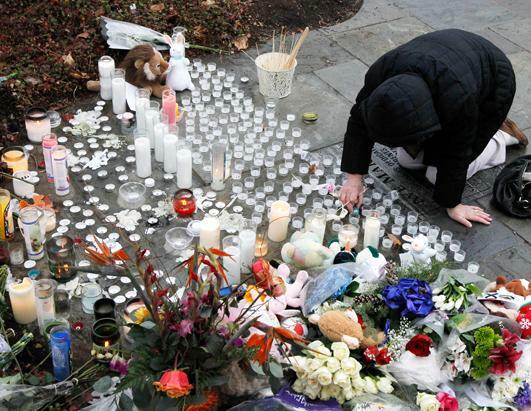 This time it was twenty six- and seven-year-olds and six adults at Sandy Hook Elementary School in Newtown, Connecticut, the gunman’s mother, and the gunman himself. And it’s not December 21st yet. Of course this is a tragedy. It was a senseless loss of life and a rude introduction to the world-at-large for the children who survived. If you aren’t touched by this turn of events you have a cold, hard heart. If you aren’t praying for the families who lost a loved one in this mess or in any of the other shootings this year, well…may God have mercy on you when you need help and comfort. It was big news on December 14th. Every TV news outlet had wall-to-wall coverage of the event. It was all over the news the next day as well, and tonight it was still the big story two days afterward. If you wanted news on anything else in the U.S. or the rest of the world, sorry, you were out of luck. According to the news propaganda machine it is all you’re supposed to be thinking about. Oh, please. News is something that’s both current and noteworthy. Something you need to inform you about the greater world around you. Getting information to the public as it’s released about the pertinent facts of a situation is news. News is not showing the same footage over and over while talking vacuously about unconfirmed rumors when a situation is going down. News is not shoving a microphone into the face of someone whose world has just been torn apart and asking them “How do you feel?” And news is definitely not interviewing first- and second-graders to find out what they were doing when madness was roaming the halls of their supposed sanctuary from the daily world. Most of them can barely describe what they had for breakfast in a cogent narrative without dissolving into a string of “ums” and “ahs.” In this case it was news two days ago, and in the newspaper business of old it would be lining a birdcage today. Yet if you were to complain to the news organizations about this type of coverage you’d get this answer: “We’re simply providing the coverage that people want at a crucial time.” (I know this because I’ve complained a few times about situations like this one.) We pretend we’re civilized and refined; that we’re above gawking at accident scenes yet we always slow the car down and try to see a flash of red or a limb sticking through a broken windshield. We don’t want to experience such a horrible loss ourselves so we hang onto every word of the witnesses and survivors to know what it “feels” like. Ultimately it boils down to dollars and cents to the broadcasters—every set of eyeballs watching their coverage means more possible revenue for their advertisers. What the people of Newtown Connecticut need more than anything else is to be left alone. They would certainly welcome support from outside their community in the proper time, but that time isn’t now. The news organizations need to get out of town and respect their privacy. It’s time for grief and healing—and let’s not be the morbidly curious world that keeps it from happening. Brian Williams made a comment last night before launching into NBC Nightly News’s Sandy Hook coverage. He said that NBC had “reduced their presence” in Newtown because the residents told them they wanted privacy now. Hallelujah! I’m happy that at least one news organization gets it and will do as they are asked. Sort of. Thanks, NBC!